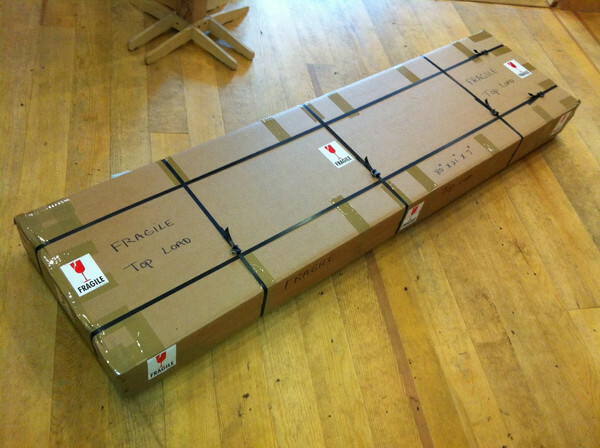 The cost of shipping surfboards can vary depending on your chosen method of delivery, speed you wish to receive it, and the final destination of the board. We ship internationally once a week. For example: We ship to Japan, Ireland, Kuala Lumpur, Saudi Arabia, Taiwan, New Jersey, France, Brazil, and Iceland to name but a few. We include you on the emails with the freight carriers this way you pay the actual freight cost. Customer pays the freight company directly. 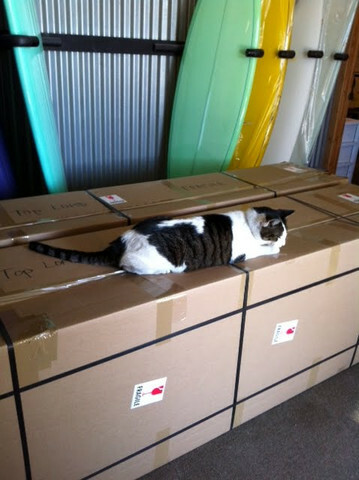 All surfboards are shipped and packed at Surfy Surfy in California, Sally St.Pierre who is widely regarded in the industry as the best in the business handles all of our logistics and packing. The cost of boxing a surfboard varies on it's size and configuration. Please contact us for a quote. UPDATE: Surfy Surfy is currently NOT shipping third party surfboards. For California we also use Leon of Action Sports Express. Leon delivers from San Diego to San Francisco.